Never be out of business cards. One click access to your digital card. 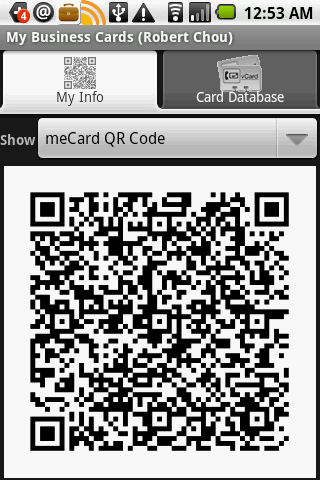 Show QR Code, share and print vCard. Scan and import incoming cards to a separate database for searching and sharing. Keep business and friends separate. 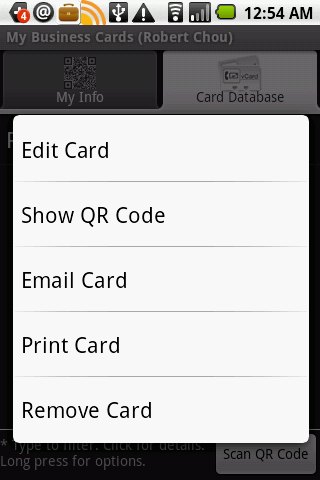 Lite version has limited size card database and will have less features in time. Optimized for Galaxy S and HTC Desire!————————————–Personalize your mobile with Japan’s fashion heartthrob, Daichi Tanaka.